After more than two decades with Carmo, our well respected Sales Manager of Carmo France, Gerard Perrin has decided to retire. 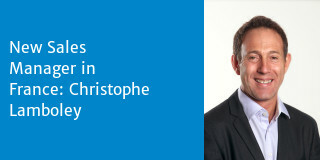 Mr. Christophe Lamboley will take over from Mr. Perrin. Mr. Lamboley have more than 20 years experience within our industry.